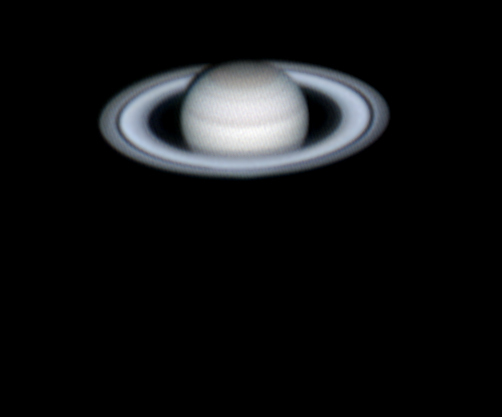 This Saturn image is a stack on 8 AVI totalling 12,000 frames, the best 6,000 we're used. There was not post processing on this image other than a brightness and contrast change. Telescope aperture and focal ratio: LX90, Tal 3x Barlow and Vesta Pro web cam with Astronomik IR filter.